Carola Williams, born Althoff, belonged to the largest circus dynasty in the world. When the Nazis took power, Carola and her brothers Franz and Adolf Althoff began to harbor Jews in their two traveling circuses. This was done very discretely, of course, and with the help of their amenable employees — who were, after all, members like them of the international, tightly knit international circus community. Since the Middle Ages, there had been a great tradition of Jewish itinerant entertainers. 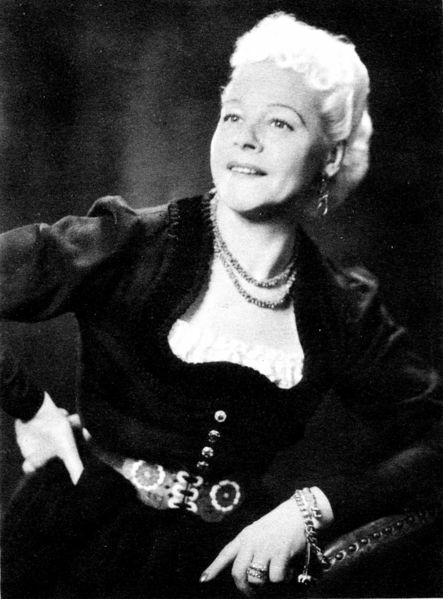 Furthermore, for the Althoffs (and for many others in the circus world, where a lot of families are related to a degree) the “Jewish Question” was also a personal matter: Lenie Mark, the aunt of Carola, was married to a Blumenfeld [http://www.divergingfates.eu/index.php/2018/04/26/brothers-blumenfeld-jun-the-fall-of-a-jewish-horse-circus-dynasty/]. After the war, Adolf Althoff and her wife Maria were honored in Yad Vashem with the title the “righteous of the peoples”. Their award is linked to the rescue of the circus artist Irene Bento (born Danner) and her Jewish family [http://www.divergingfates.eu/index.php/2018/02/19/irene-bento-1923-2006-uberlebt-im-versteck-beim-circus-adolf-althoff/]. However, the Althoffs didn’t limit their protection to Jewish circus performers. While doing research on the subject for a play, we interviewed over the phone a German Jewish lady who had survived the National Socialist regime thanks to Carola Williams. She was, as expected, ostracized in her own country, unable to find work and in a desperate situation. Circus Franz Althoff (Carola and Franz’s circus) was visiting her town, and during their stay, posted a job offer for a cashier. The lady went to see Carola and applied for the position. Carola – who was a remarkable business woman – told her that she would have to travel with the circus, which was fine with the applicant, and then asked her if she had ever done a similar job or if she had any accounting knowledge. The lady answered both questions negatively, and Carola told her that, unfortunately, she couldn’t have the position since they were looking for an experienced cashier. Carola: Please, pardon my question, and you don’t have to answer if you don’t want to, but you have nothing to be afraid of. Are you Jewish? Lady: … Yes, I am. Carola: Well, you are hired. The lady spent the war years with the Althoffs, hiding in the double wall installed in the pantry wagon, with other “undesirables” who traveled with the circus, when there were inspections by the Gestapo and other Nazi authorities. She and other Jews employed by the Althoffs survived. Carola and Franz supported also the Jewish Blumenfeld brothers in the camps with food, clothing, cigarettes and medicines. Carola Althoff married the German-born British equestrian Harry Williams. After the war, they created Circus Williams, which became one of Germany’s leading circuses. Sources: transcript of an interview with German Jewish witness, 2007; http://www.circopedia.org/Carola_Williams (last call: 15.7.2018); Lehmann-Brune, Marlies: Die Althoffs. Geschichte und Geschichten um die gröβte Circusdynastie der Welt. Historische Beratung und genealogische Fakten Prof. Dr. phil Bobby Barell, Dozent für Circulogie. Frankfurt 1991.